Step 1 Combine sweet chili sauce, peanut butter, fish sauce, mint, green onions, ginger and chili. Set aside. Step 2 Place a large wok (or frying pan) over medium-high heat with a drizzle of oil. Add chicken and stir-fry until just cooked. Step 3 Toss liquid mixture into chicken for 30 seconds and then remove from heat. Step 4 Squeeze lime over chicken mixture. Step 5 Take wok to the table with the lettuce cups. 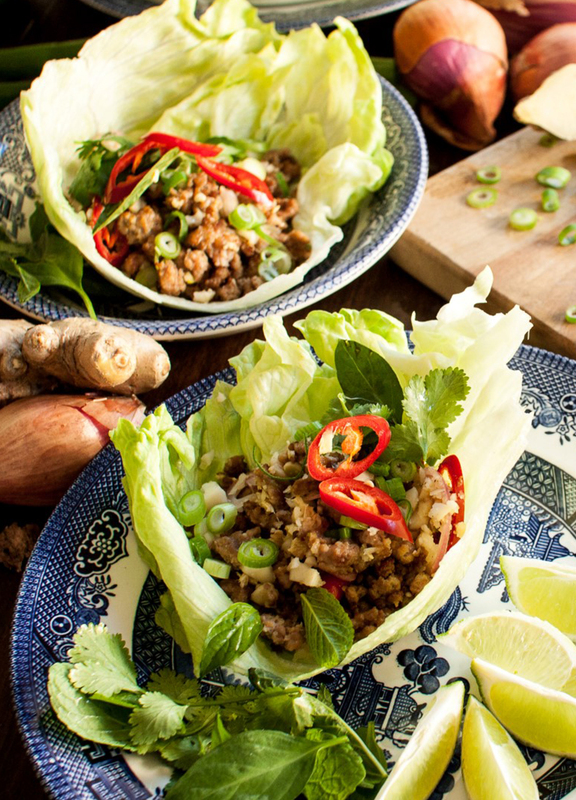 Dish up the chicken mixture into the lettuce cups and garnish with coriander. A light summer meal that's also fun to bring together at the table.